Many competent DIYers are capable of tiling the walls of a bathroom or kitchen to a good standard. But if you want your tiling to be perfect and to achieve a professional finish then it is essential that you prepare your surfaces thoroughly before you even think about starting to install the tiles. There are a number of steps involved in the wall tiling process, each with particular requirements in terms of skill, tools and materials but no matter how professionally each stage is performed the end result could be a disaster if you do not prepare the area fully before starting. 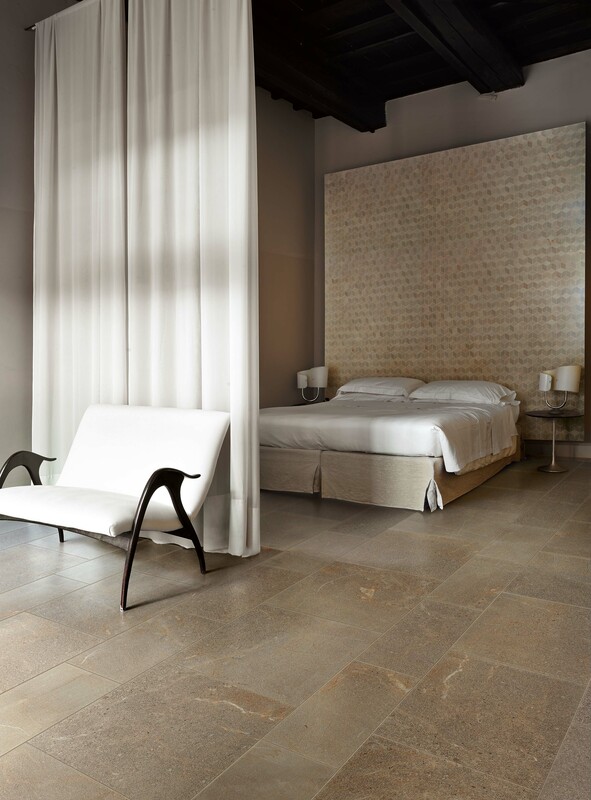 Time spent preparing the surface will ensure that the tiles adhere properly and that they lie completely flat so they won’t start to come away or crack at a later stage. The preparation might be as simple as cleaning the walls of any dirt and flaking paint but could also involve filling uneven surfaces or repairing areas that have previously been water-damaged or even fixing existing leaks. Remove any old screws or nails left in the wall after the old wall covering was removed. Fill any holes or cracks with any suitable filler – for larger holes make sure you complete the repair in layers and allow the filler to dry completely between each layer. If necessary sand down any repairs to make the surface as level as possible. Use a wire brush to remove any loose particles on the walls then vacuum the room thoroughly. Apply an acrylic primer to plasterwork. Next make sure the surface is as level as possible – the easiest way to do this is to use a straight wooden batten roughly 2m in length. Place it across the wall in various directions and check that it touches the wall at each end and that there are no large gaps between the batten and the wall along its length. Any gaps 5mm or less will not unduly affect the end result but anything much large than this could cause problems because the adhesive will be too thick in places and may fail to bond with the substrate or tile. If the wall is not level then use some tile adhesive to form a more level surface. Finally, make sure you understand the surface to which your will be applying the tiles and any particular final preparations that may be required. For example, new plaster needs at least month to dry out and shrink. If the wall surface comprises wooden boards they need to be securely fixed to the substrate and bare timber should be painted with a polyurethane paint. A blockwork or brick substrate is generally unsuitable for tiling directly onto as the surface is too uneven. In this case it is necessary to fix tile backer boards to the wall to give a level surface – the added advantage of tile backer boards is that they are waterproof so particularly suitable for shower areas or wet rooms. 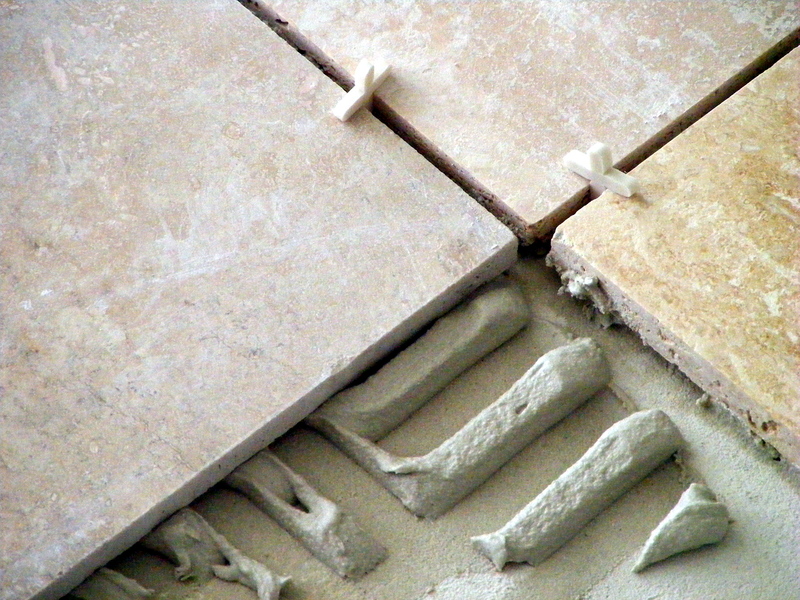 It is possible to tile over existing porcelain wall tiles or ceramic wall tiles if they are still firmly bonded to the walls and if it is not feasible or cost-effective to remove them, but the disadvantage is that you are adding extra weight which the original substrate and adhesive may not be able to support. Wherever possible it is better to remove existing tiles. If you do go ahead with tiling over existing porcelain tiles or ceramic tiles then make doubly sure all traces of cleaning products are removed from the old tiles before applying the tile adhesive.